A Century woman has been charged with child abuse after allegedly punching a juvenile in the head. 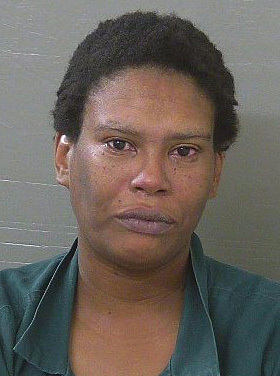 Hallene Mae Benson, 38, was booked into the Escambia County Jail on charges of felony child abuse and resisting arrest. Benson allegedly punched a juvenile in the head using her closed firsts after an argument about school, according to an Escambia County Sheriff’s Office report. When a deputy attempted to arrest Benson, she “began to pull away from me to avoid arrest”, the deputy wrote in his report, and failed to follow orders. Benson also had an outstanding failure to appear warrant in Escambia County and an additional outstanding warrant in Santa Rosa County. 38 years old, what a wasted life time…..Good luck in the future.